Awards season has just wrapped up, and it’s always an incredibly inspiring time of year. For some people, seeing their favourite stars accept trophies in a flurry of screams and tears will push them to strive for their dreams even harder. For the fashion aficionado, however, seeing that much fabulous formalwear gets the planning wheels in motion. With the clocks going back in just a few weeks, it feels like summer is less of a distant dream, so now is the perfect time to spruce up your formal wardrobe so that no matter what formal event you find yourself at in the coming months, you’ll not only look the part but steal the show! As the focus has shifted towards spring and summer we’ve avoided heavy, bulky blazers and focused on the perfect formal shirts, trousers and shoes to have you looking sharp. Classic designs from Polo Ralph Lauren and Emporio Armani are juxtaposed with the outlandish and daring designs of Versace coupled with the cool elegance of Thomas Finley. We’re sure there’s something here for everyone, so if this has whetted your appetite, make sure to check out our full menswear collection after you’ve finished reading. Happy shopping! New this season from Polo Ralph Lauren, this simple long sleeved shirt shows why the brand dominates the designer formalwear landscape. Made from breathable 100% cotton, this shirt would be perfect for a Spring event, ensuring you’re kept warm in more temperate weather. Styled in bang on trend olive green with the brand’s signature polo player logo embroidered on the chest in a pop of orange, this shirt screams classic elegance and effortless style. If you like to keep your looks crisp and simple but endlessly chic, add this shirt to your collection. If you like to stand out from the crowd, or you have a particularly glitzy occasion coming up but no idea what to put on your feet, we’ve got just the shoes for you. 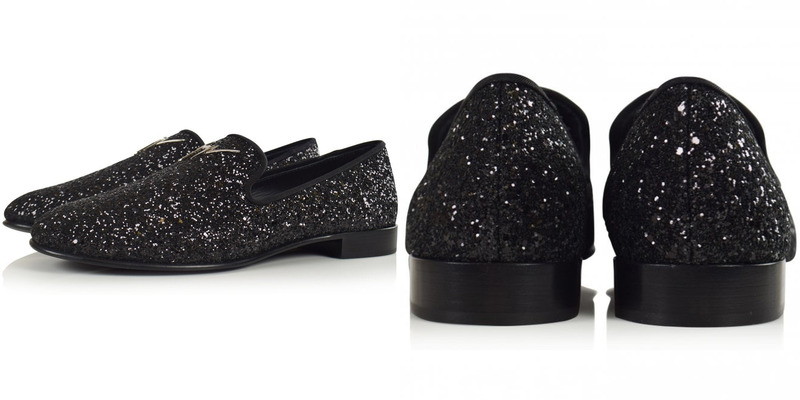 Brand new from Giuseppe Zanotti, these unique glitter loafers will have you lighting up any dancefloor. Black and covered in silver glitter, these loafers also feature a sturdy and durable leather sole, so no matter how many outings they get taken on they’ll always be number one on your list. Perfect paired with slim-fit trousers and a clean, simple shirt, buying these shoes will ensure that you are always the centre of attention. Or, at least, your feet will be! If you’re the kind of person who is a slave to comfort and who lives in their designer sportswear, dressing for formal occasions can sometimes be a bit of a drag. But never fear, Limitato are here to solve all your problems. These formal trousers are constructed from soft, comfortable cotton, but cut in the style of a formal trouser, meaning you can be classy and comfortable at the same time. The design is completed with the added detailing of gold zips at the ankles with matching gold zips on the back pockets. So for all you formalwear phobic types out there, you can thank us later for your dream pair of formal trousers! 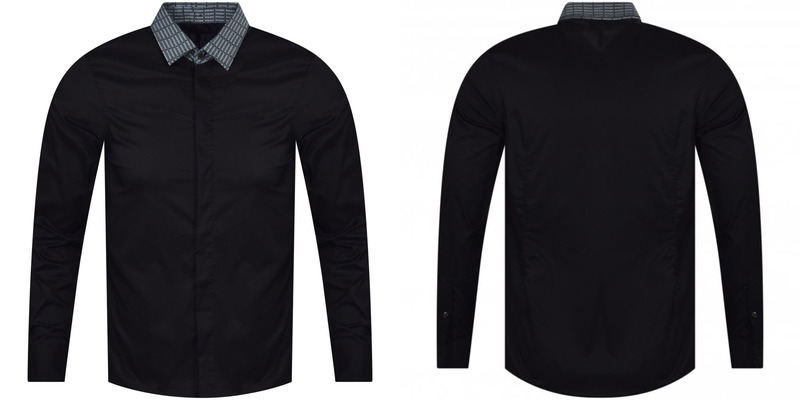 New for Spring 2019, this slim-fit formal shirt from Emporio Armani is crafted in a black cotton-elastane blend for that perfect sculpted fit. The main body of the shirt features the signature Emporio Armani eagle branding to the chest. The design is completed with the unique branded collar in monochrome, which really gives this otherwise simple shirt the wow factor. 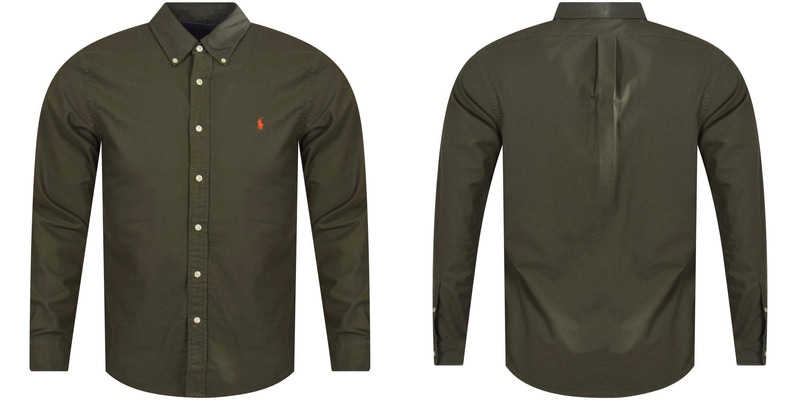 Ideal for keeping and looking cool on spring evenings, you should definitely add this shirt to your wardrobe. If you’re a skinny trouser addict, it can be difficult to find the perfect footwear to complete your look. Anything too bulky will make your feet look too big and ruin your carefully curated aesthetic, so choosing a lightweight loafer is always a sound bet. 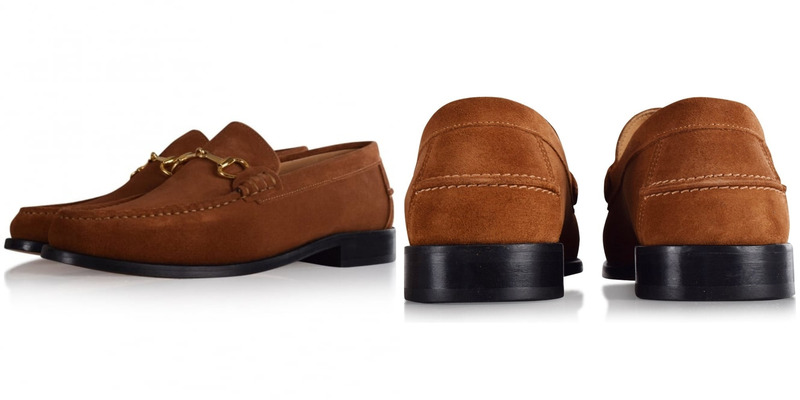 These stunning tan loafers from Thomas Finley are constructed from 100% suede and feature a gold buckle and golden yellow stitching throughout. Perfect for warmer weather, these simple loafers exude classic elegance and would be the perfect pairing with your skinny trousers. Grab them now before they’ve all been snapped up. To finish with a bang, we come to Versace. 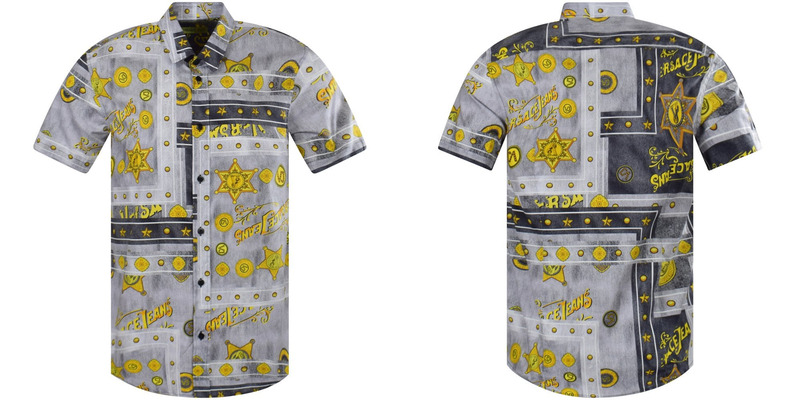 The name in fashion for ostentatious and unique looks, this shirt does fail to make a statement. Constructed from a cotton-elastane blend in grey, this shirt features a bold golden design and is emblazoned with various emblems, textual details and symbols. Always opulent, this would be the perfect shirt to add a pop of excitement to an otherwise all-black ensemble. For some, it may be too loud for a formal occasion, but for those who love to make a big first impression, make sure you add this to your wardrobe as soon as possible!